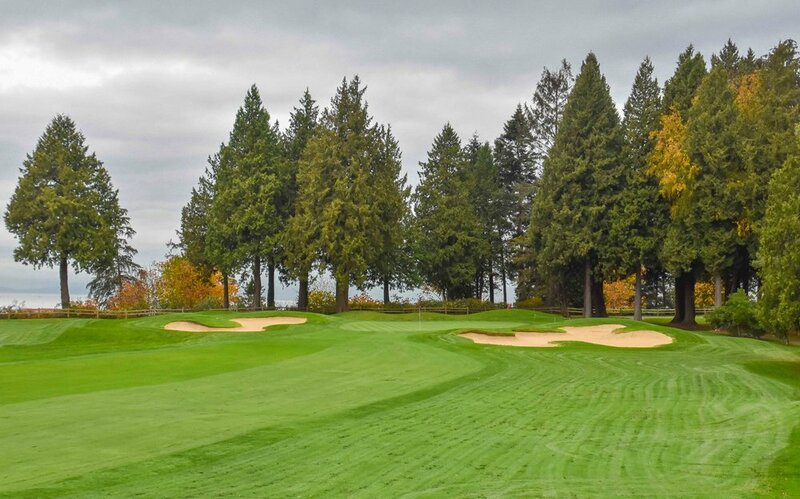 Canada — PJKoenig Golf Photography PJKoenig Golf Photography - Golf Photos For Those Who Love The Game. 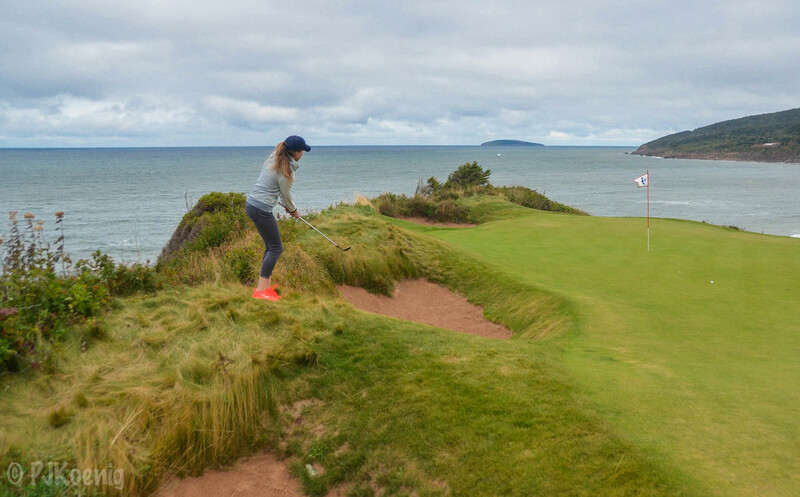 Golf Digest's Ashley Mayo takes on Cabot Cliffs' 16th hole. 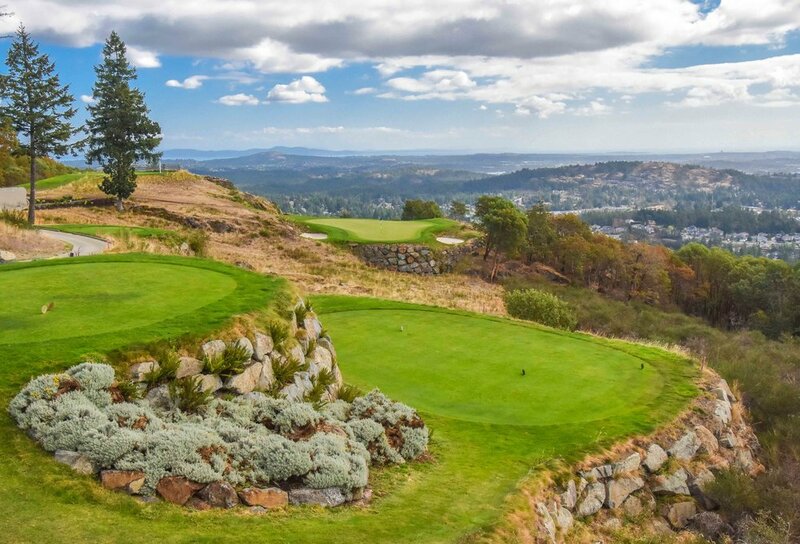 The Bear Mountain Golf Resort offers 36 holes of golf designed by Jack Nicklaus and his son Steve. 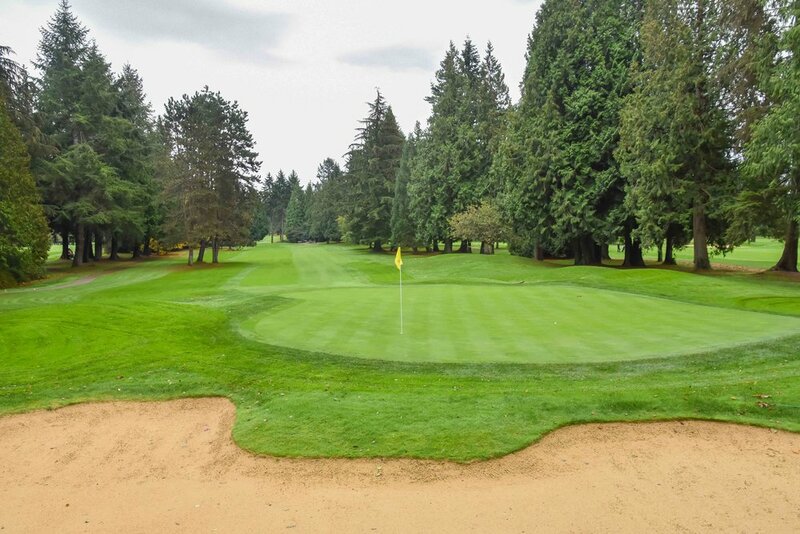 Set in the foothills of Mount Finlayson, you will find the Mountain Course on the higher edge of the property, with the Valley Course residing below. 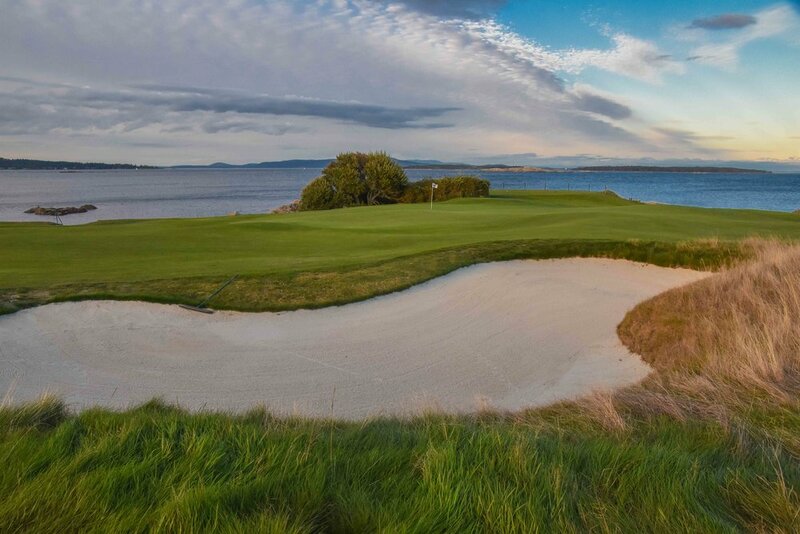 The Mountain Course will host the 2016 Pacific Links Championship, a Champions Tour event. 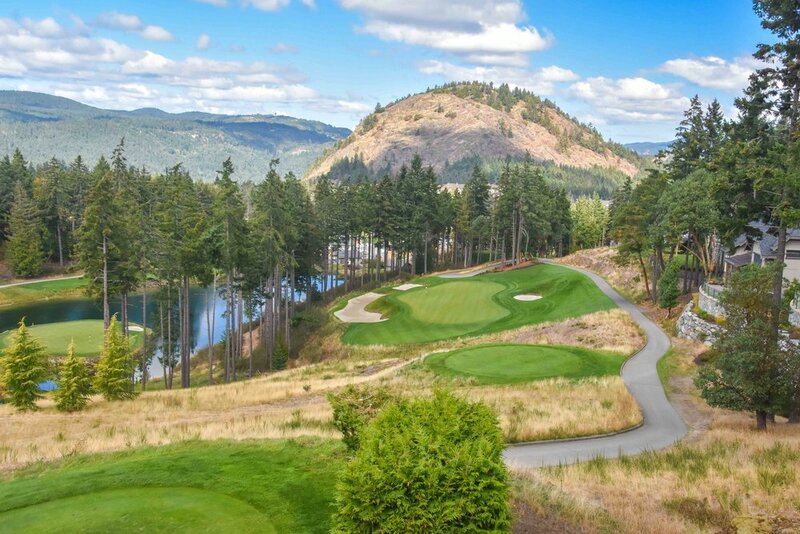 On September 11th of 2016, I would play the Mountain course. Little did I know that this would be a record setting day for me. From the very 1st hole, my putter caught fire. The birdies dropped furiously and I carded 7 4's and 2 2's for a front nine 32! This was my second best nine holes of golf in my lifetime. It is somewhat common for a golfer in these situations to try to "hang on" or go with the "don't eff this up" approach. Too many times I have faded down the stretch after a great start. This time, I mentally decided to keep the pedal on the gas and set my personal record for most birdies in one round. Staying mentally aggressive allowed my putter and approach shots to remain hot and I would I roll in birdie putts on 10, 11, 13, and 14. I was in uncharted territory with 7 pars and 7 birdies through 14 holes!! My all time best score of 68 was going to be broken. After suffering a bogey on the 15th hole, I got my act together with pars on the final 3 holes for a 65 on the par 71 layout. I took my Round 4 putter out for a nice steak dinner afterwards. 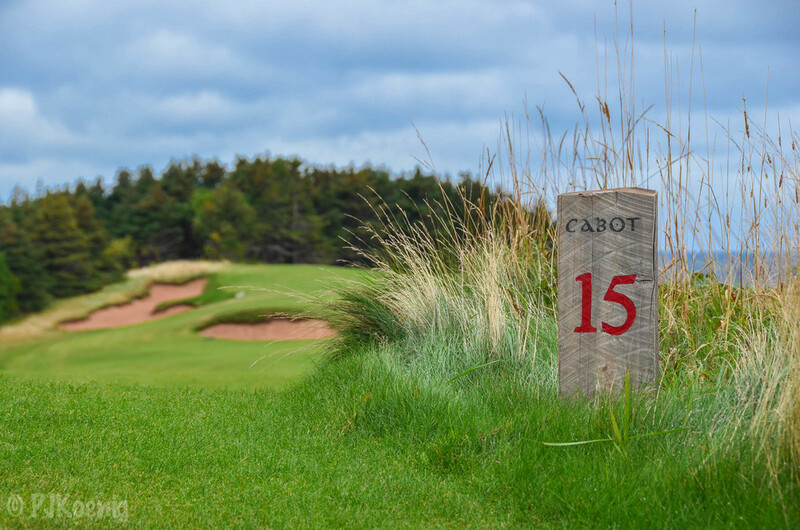 Cabot Links is one of the finer tests of links golf that I have experienced in Canada. 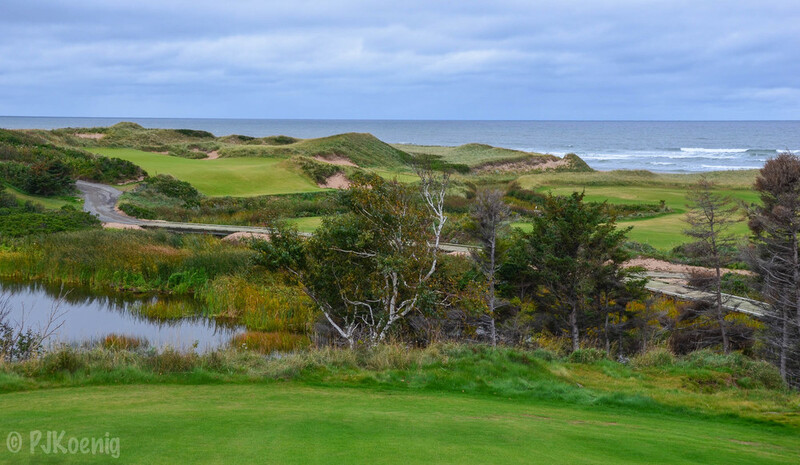 Each and every hole offers an oceanfront view and the wind is a constant factor. 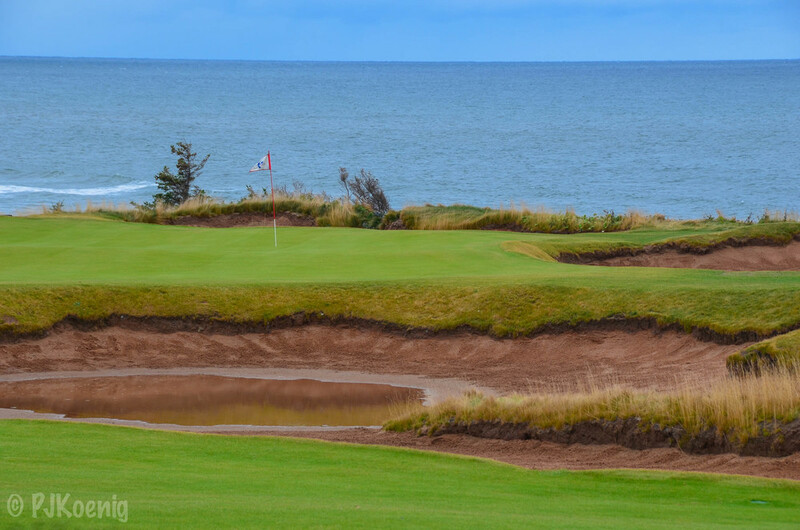 Dubbed as Canada's only authentic links the course tests the player's ability to persist in tough conditions and make solid decisions on how to carefully play each shot. 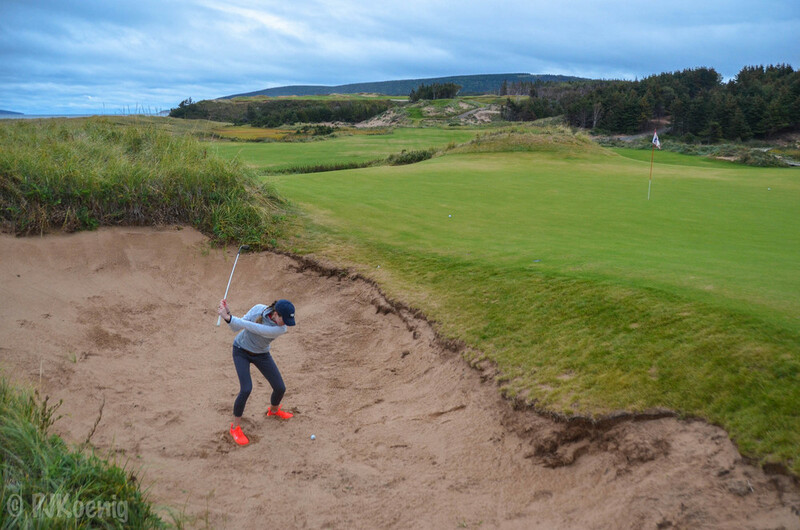 The most enjoyable aspect of this type of golf is the options for creativity that it provides. 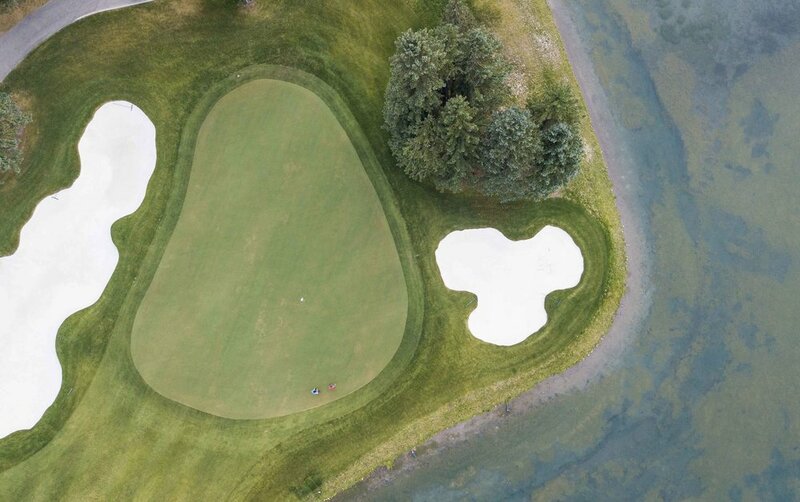 Nothing beats watching a well placed golf ball use the contours of the landscape to reach it's final destination near the hole. 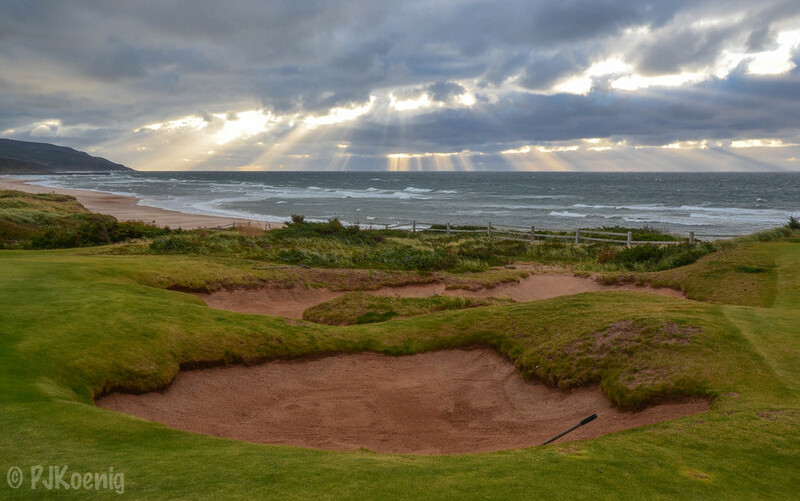 With a slight breeze coming in around 40 mph, our foursome would surely be tested both mentally and physically. With an all star line up consisting of Golf Digest's Ashley Mayo, financial wizard Jeff Blind, collegiate standout Jeff Filer, and myself we were certainly up to the challenge. We played the course twice and had just about as much fun navigating the fescue as any 4 golfers can muster. 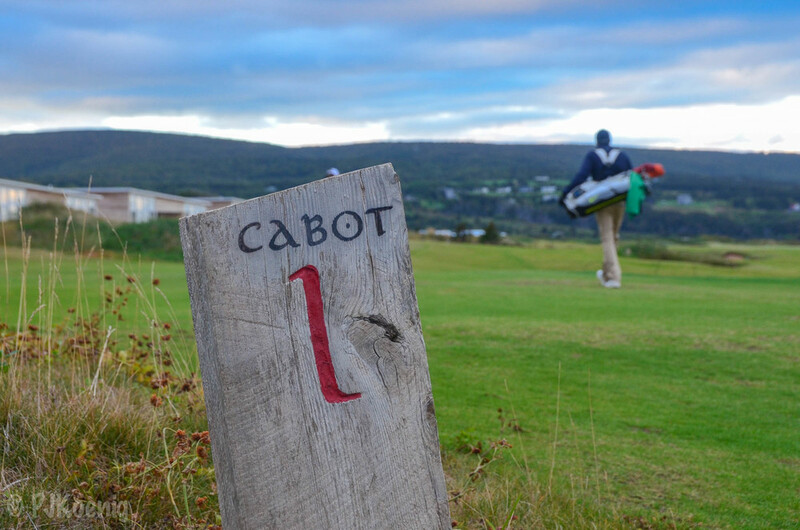 If you have options for an upcoming trip, I would certainly consider Cabot as one of the finer places to play. Holy Moly! 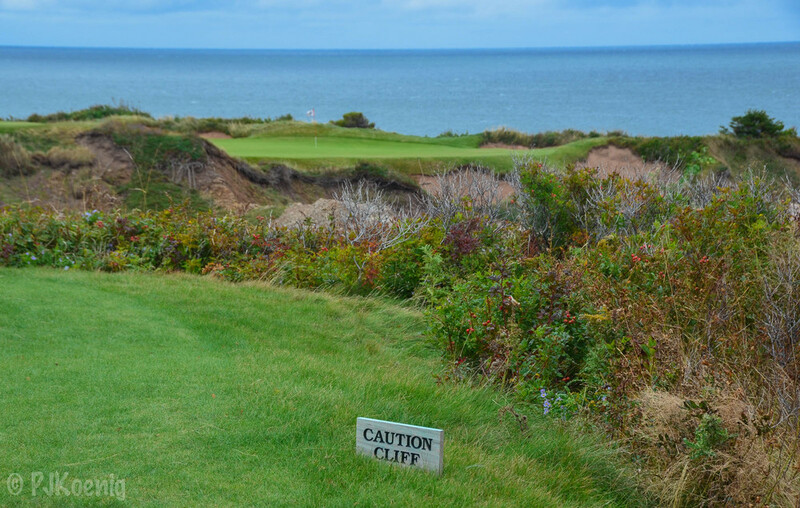 Cabot Cliffs wasn't lying about those cliffs! 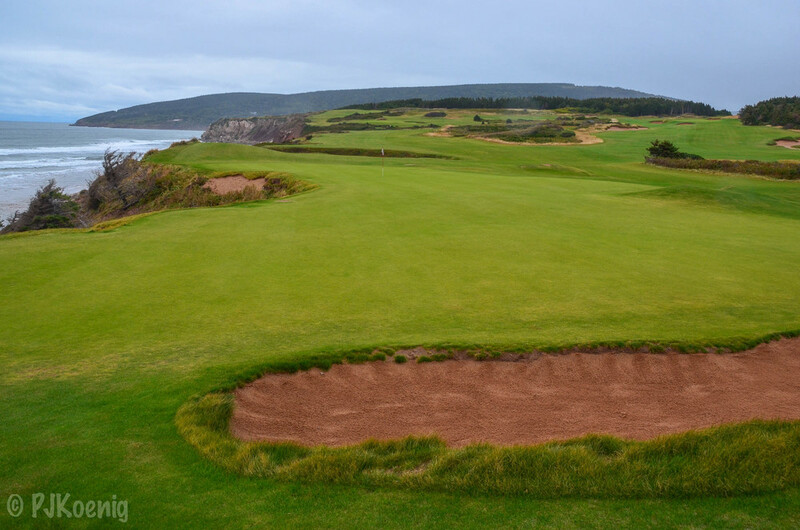 After tapping in on 18, Cabot Cliffs quickly zoomed to the top of my all time favorite courses list. 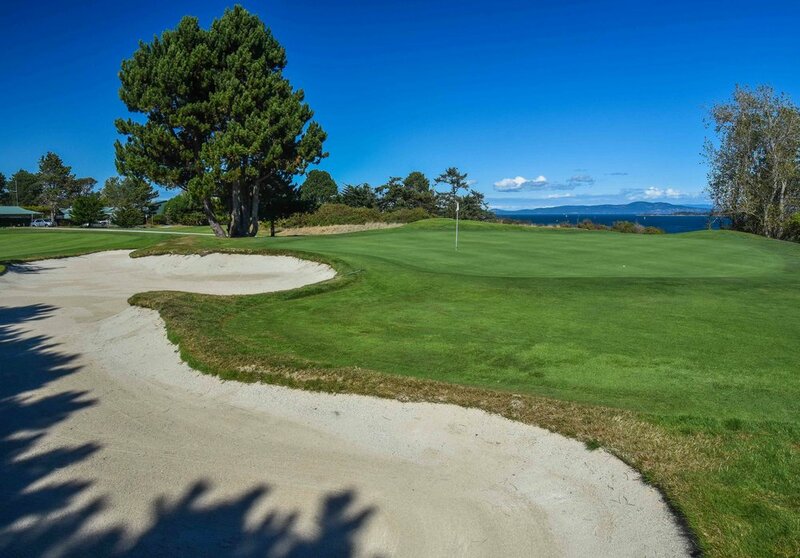 The course keeps things fun and interesting with 6 par 4's, 6 par 5's and 6 par 3's. I have always been a fan of this option and I am not sure why more courses aren't designed in this manner. 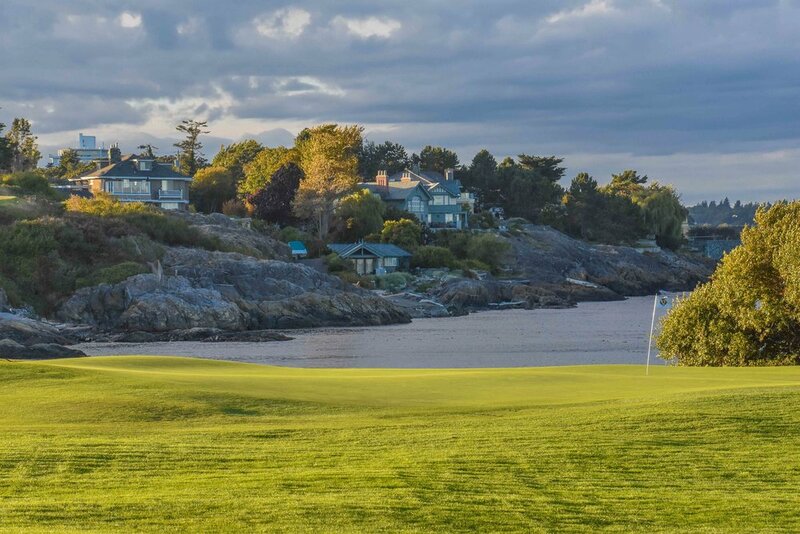 The finishing 4 holes are arguably some of the best finishing holes on the planet. 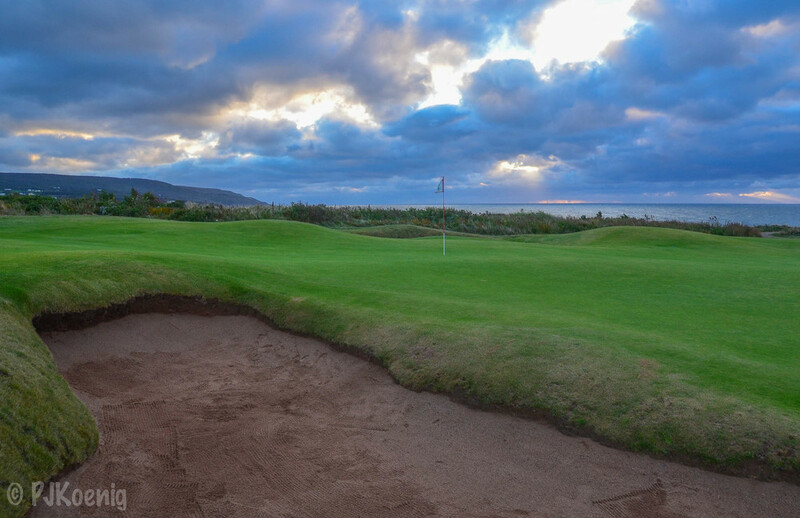 Starting on 15 you are greeted with a stunning par 5 that finishes right on the ocean. 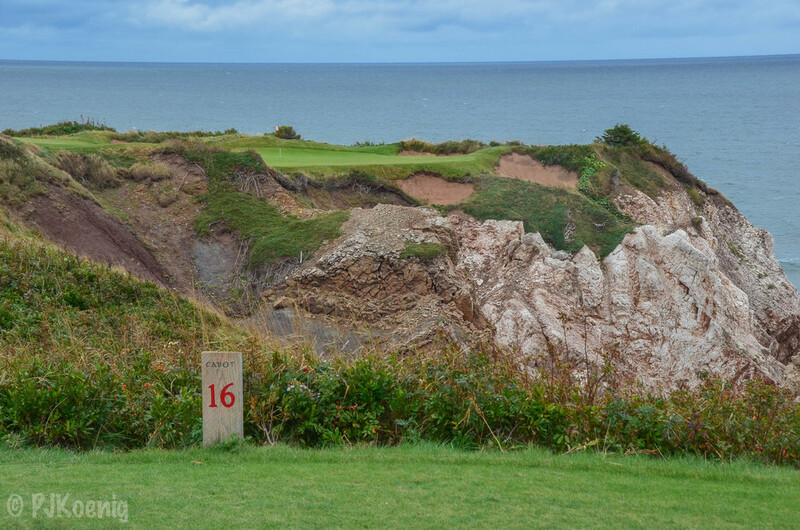 Then you have the 16th hole, which is the most epic par 3 that I have played in my lifetime. 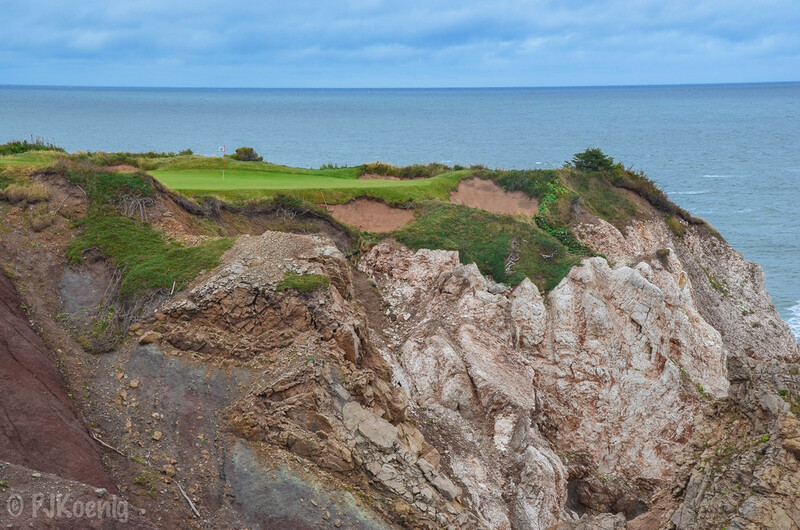 The green is perched on the edge of a cliff and any shot long, right, or short will plummet a hundred feet down into the ocean. It is awesome. 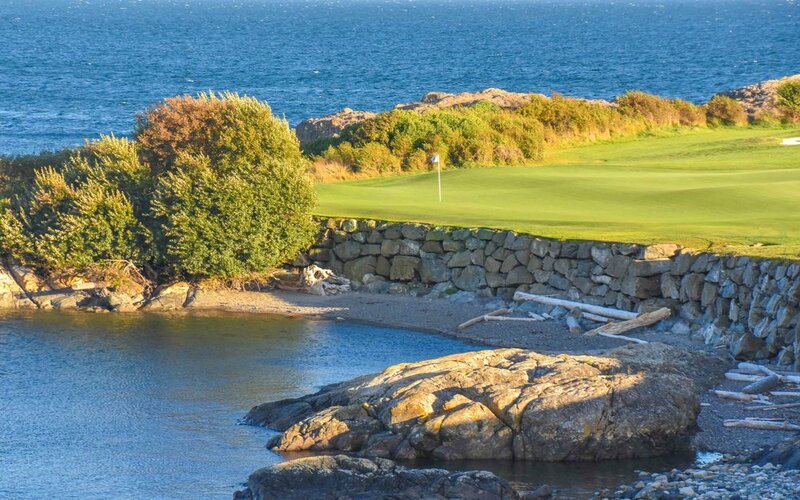 The 17th hole is a drivable par 4 that requires a blind tee shot over a serious cliff, with some luck it will roll on down to the green. Just about as fun as it gets when it comes to drivable par 4's. 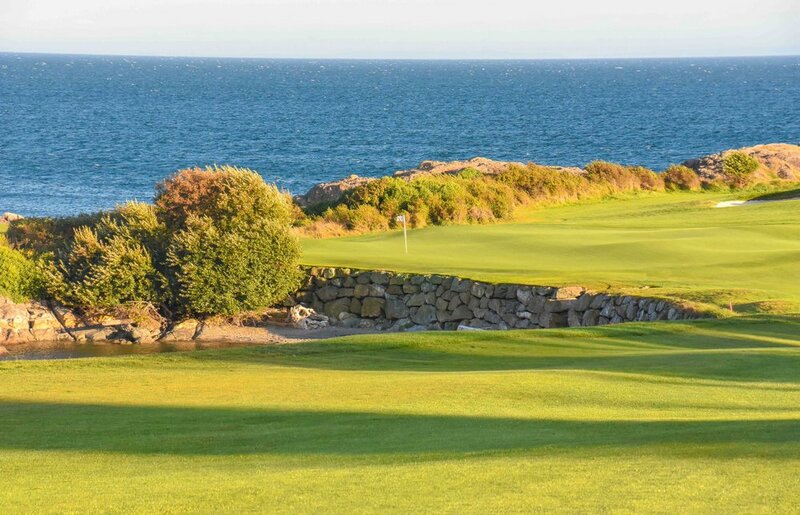 The course finishes with a reachable par 5 (depending on wind) stretching down the oceanside cliffs. While it is easy to focus on the final four holes here. The first 14 are an absolute treasure to play as well. 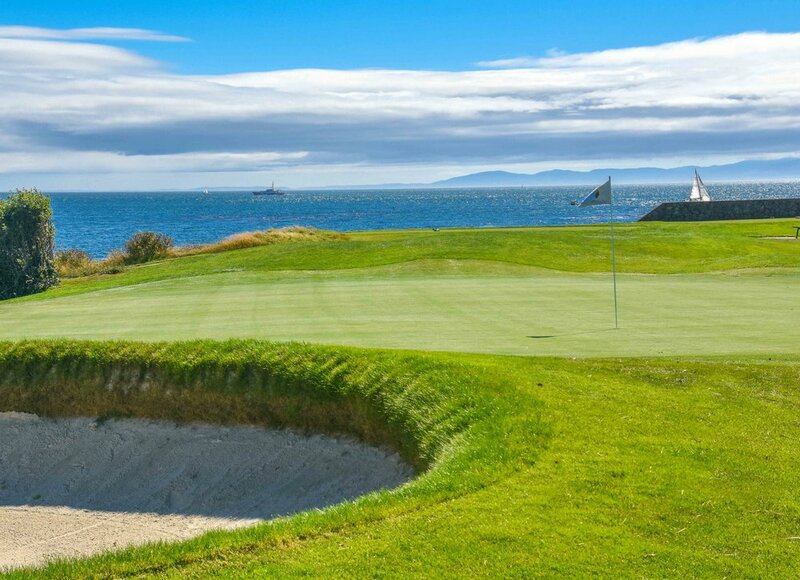 Our group had the pleasure of playing the course twice, but you could probably play this place 100 times without an ounce of boredom. 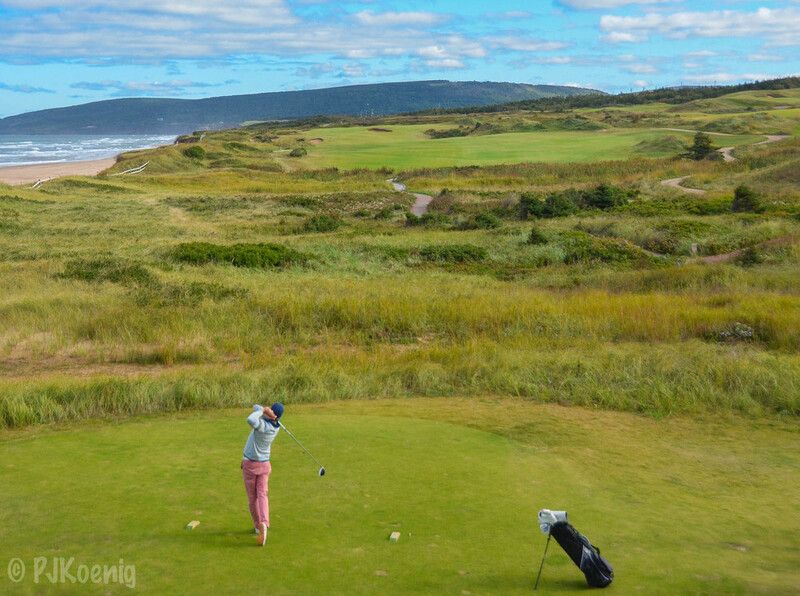 Cabot Cliffs is a true joy of a golf course. 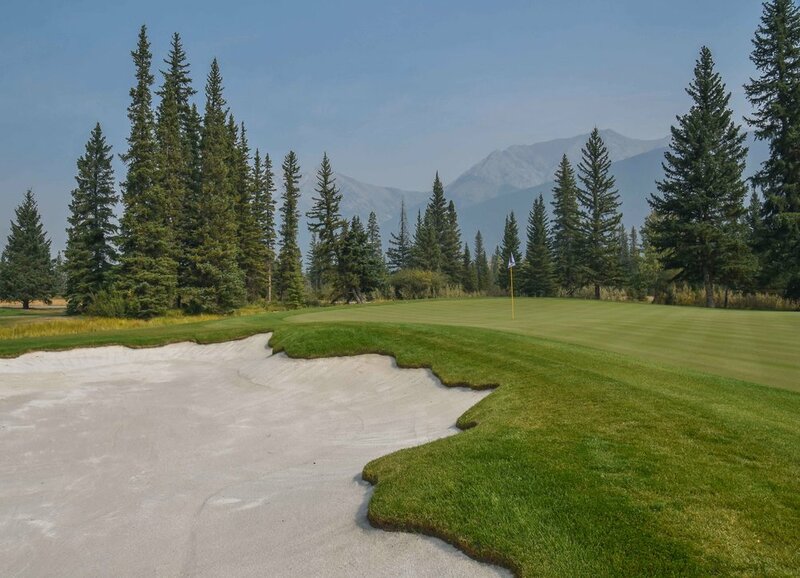 In 1926, the original course at Canmore was only 9 holes and featured sand greens with coffee cans for holes. In the 1960's a curling rink would be added. 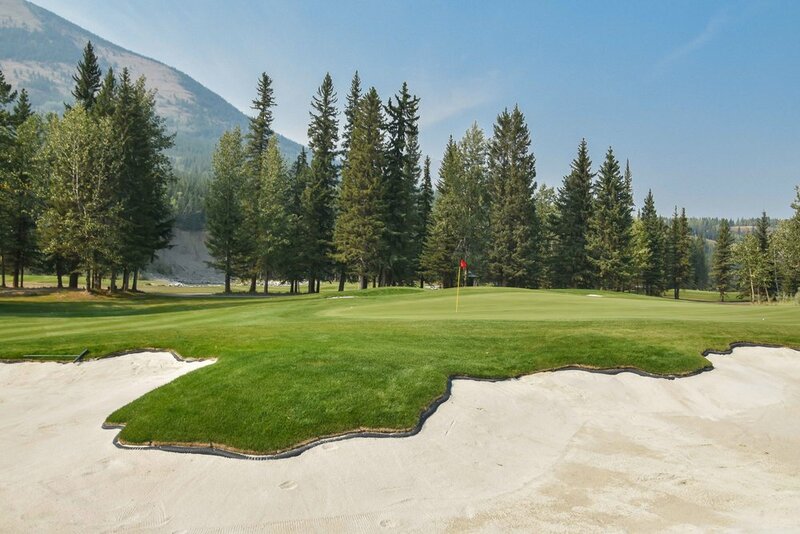 Today, Canmore Golf & Curling Club offers a full test of golf with stunning views of the surrounding mountain ranges. Unfortunately, those normally stunning mountain ranges would be clouded with smoke. 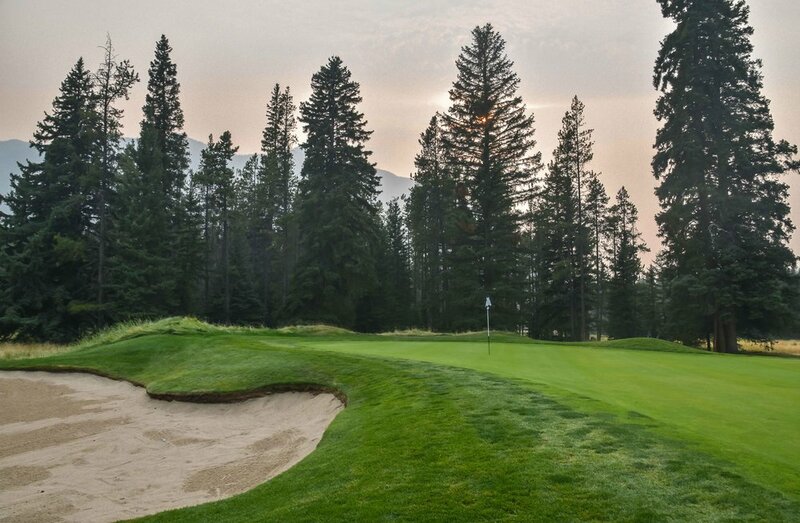 Silver lining: Where there is smoke, there is fire and local golf stud, Jack Stoliker, would come out blazing with birdies on the first 2 holes. As Jack plays to an 11 handicap, naturally we decided to put him on 59 watch. That whole plan didn't really work, but I am pretty sure Jack was able to break 80. 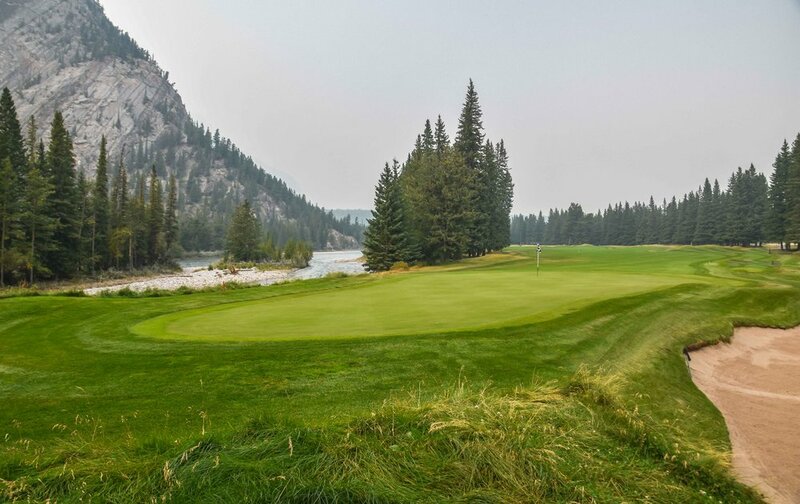 The Fairmont Banff Springs Golf Course originally opened as a 9 hole course designed by Bill Thomson in 1911. The course would later be expanded to 18 holes under Donald Ross in 1924. However, it was Stanley Thompson in 1928 who designed the layout as it plays to this day. 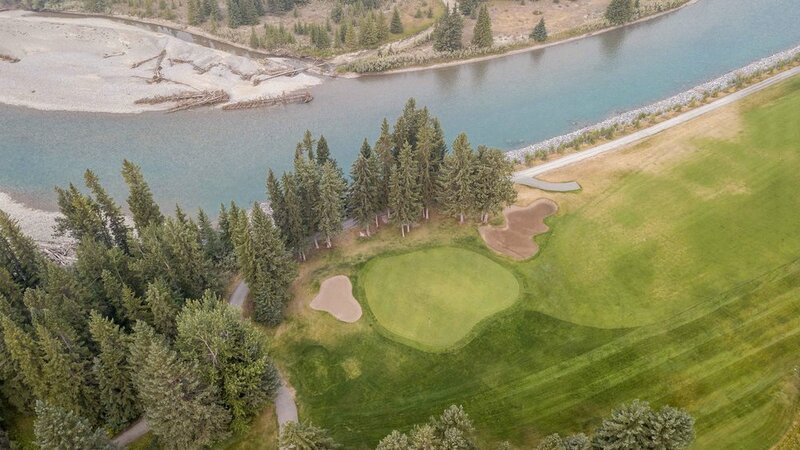 With unlimited funds available via the Canadian Pacific Railway, Banff Springs Golf Club was the first golf course that would cost over $1 million to build. It would take 6 years of taxing physical labor, but Stanley Thompson delivered a gem in the end. Today's course differs only slightly from Thompson's original plan. 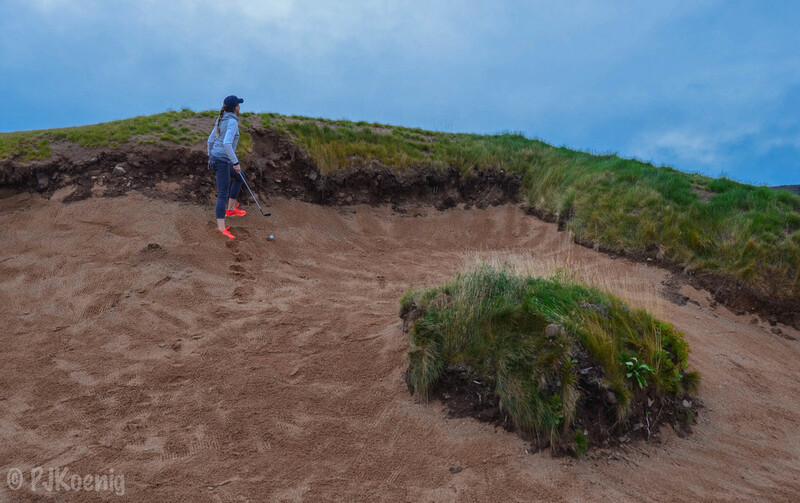 The course has been lengthened to offer a significant challenge to today's top golfers. 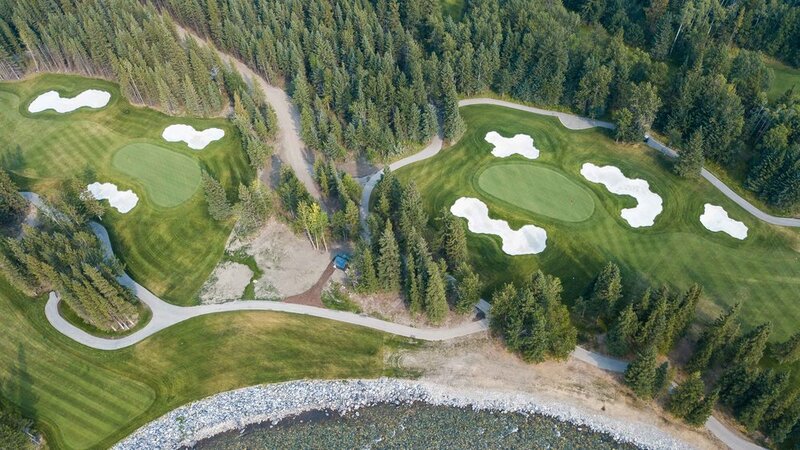 The rotation of the holes has also been changed to accommodate a larger clubhouse due to capacity demands. 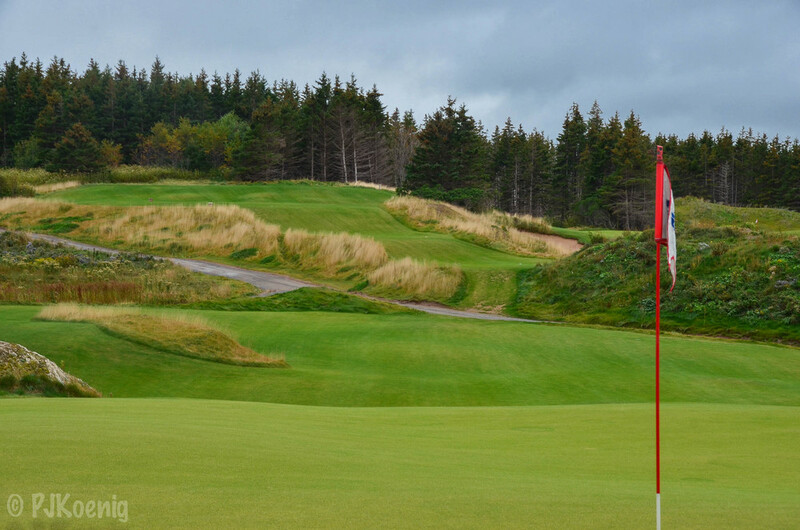 The end effect is that the amazing downhill tee shot on 15 is no longer your opening tee shot as originally designed. 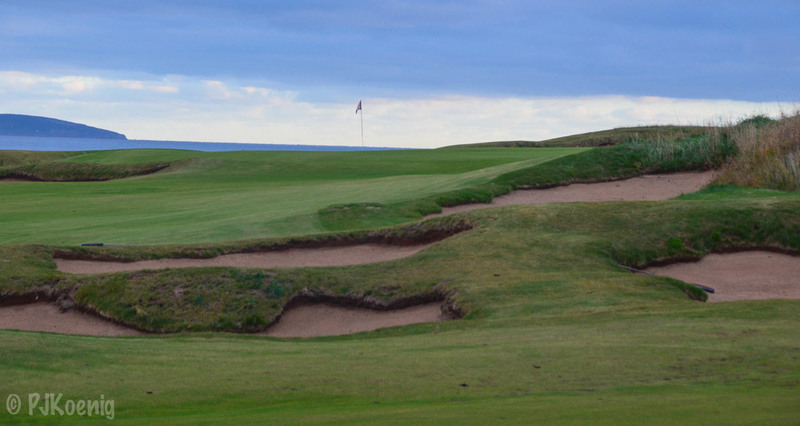 The course also ends on a relatively pedestrian par 5 instead of the stunning 14th. The good news is that you still get to play all 18, no matter how they rotate. 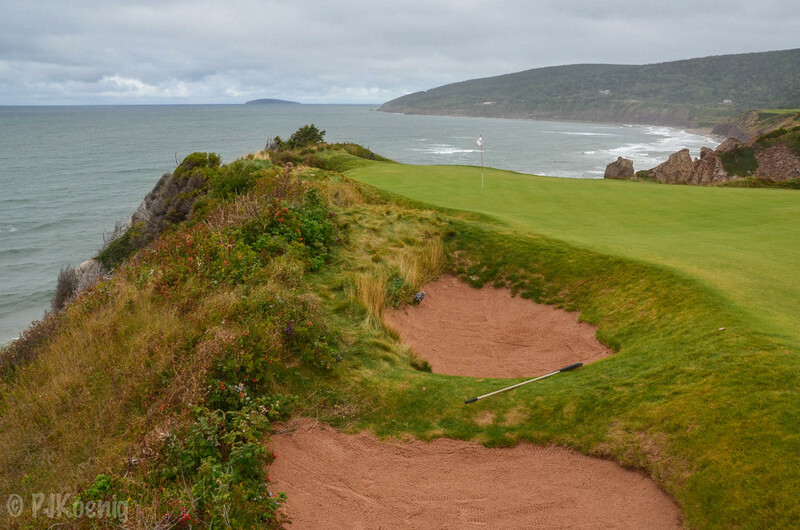 The 4th hole, or the "Devil's Cauldron," is easily one of the most stunning holes in the golf world. 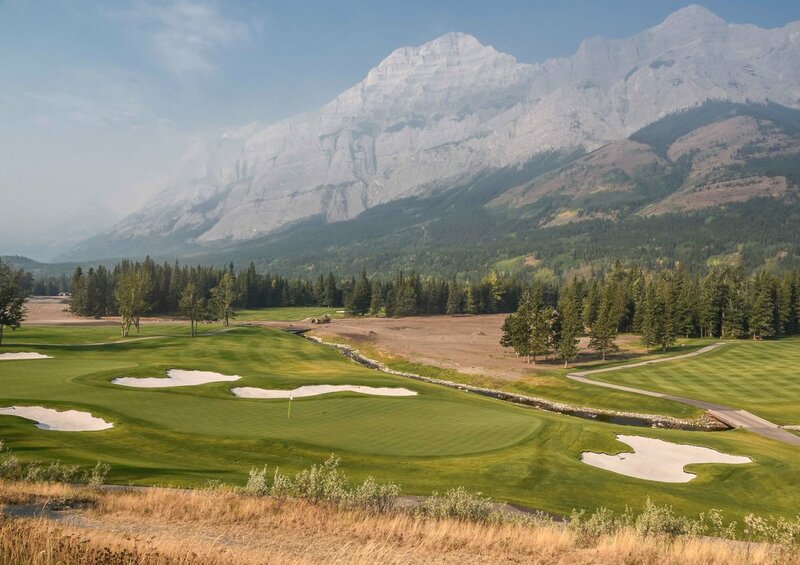 The hole plays 170 yards over a crystal clear glacial lake with the sheer face of Mt Rundle looming in the backdrop. 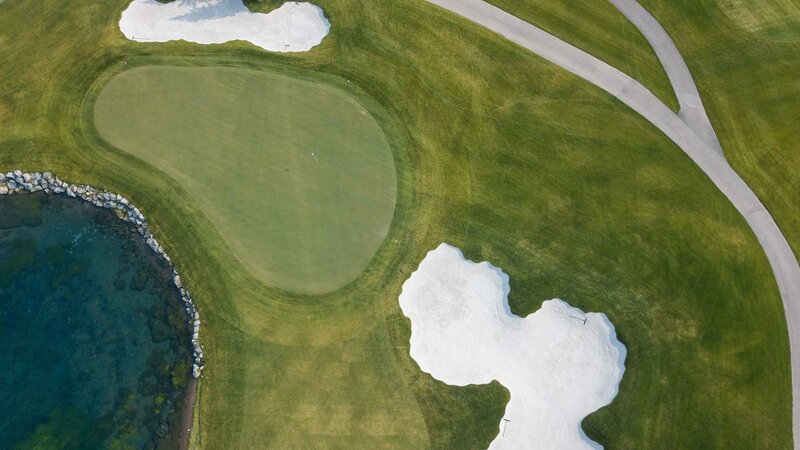 There is no other golf hole in the world with a 10,000 foot peak this close to the bottom of the cup. It is awesome. As a courtesy, I have attached the highlight reel from our round. The full Canadian Rockies trip recap can be found here. 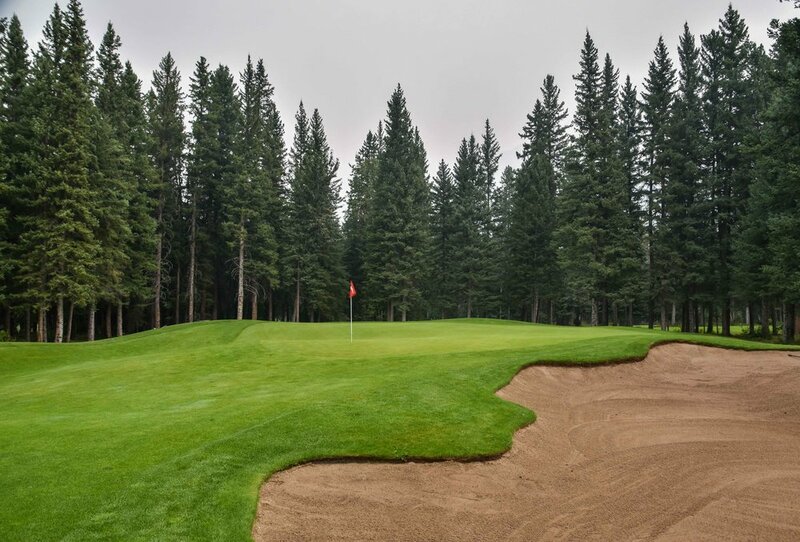 Home to 36 holes of championship golf, the Kananaskis Country Golf Course was designed by Robert Trent Jones and opened to the public in 1983. 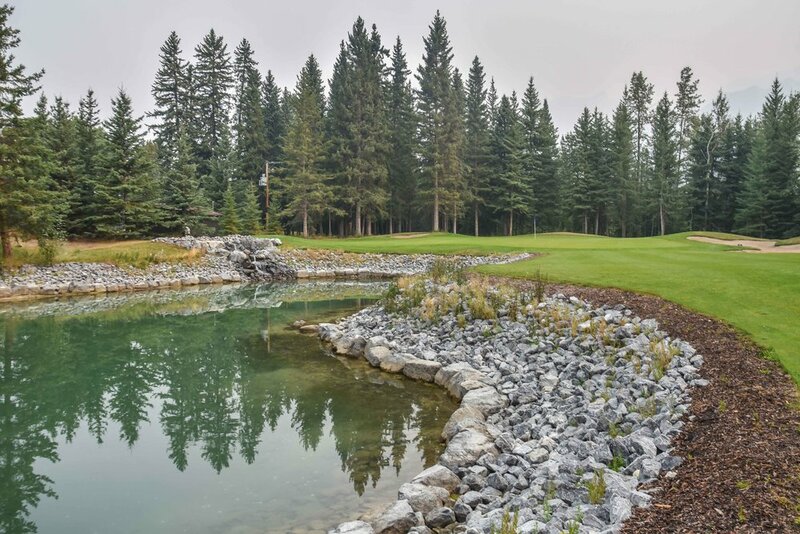 For 30 years the course served as a local favorite for the residents and visitors to Alberta. 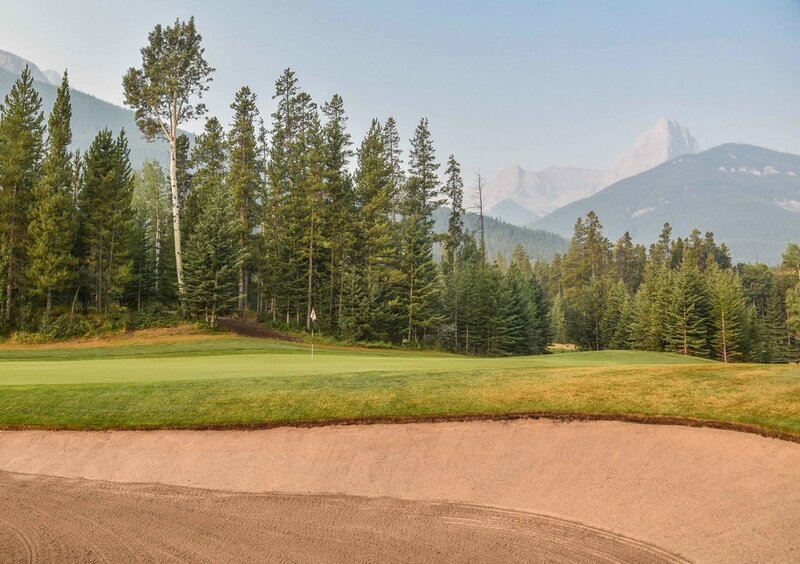 However, In 2013, flood waters spilled over the Evan Thomas Creek and the Kananaskis River doing extensive and damage to the both the Mount Kidd and Mount Lorette courses. 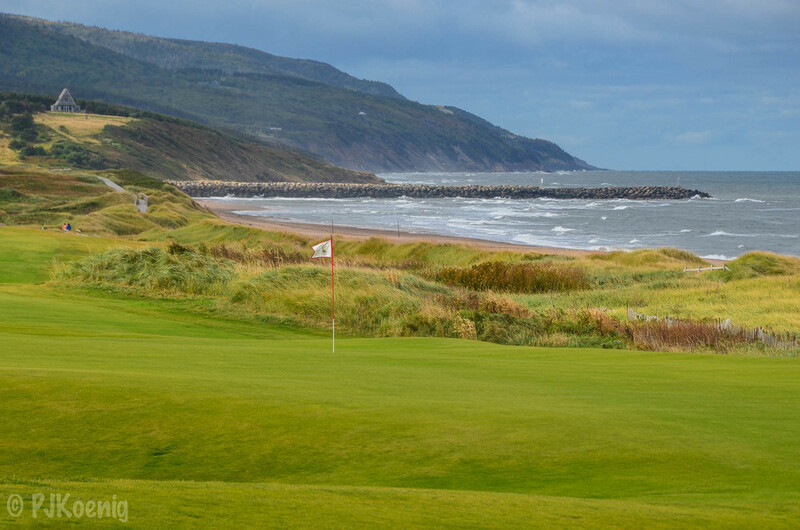 The good news for golfers is that after 4 years of securing funding and rebuilding, the courses will be ready to go for the 2018 season. 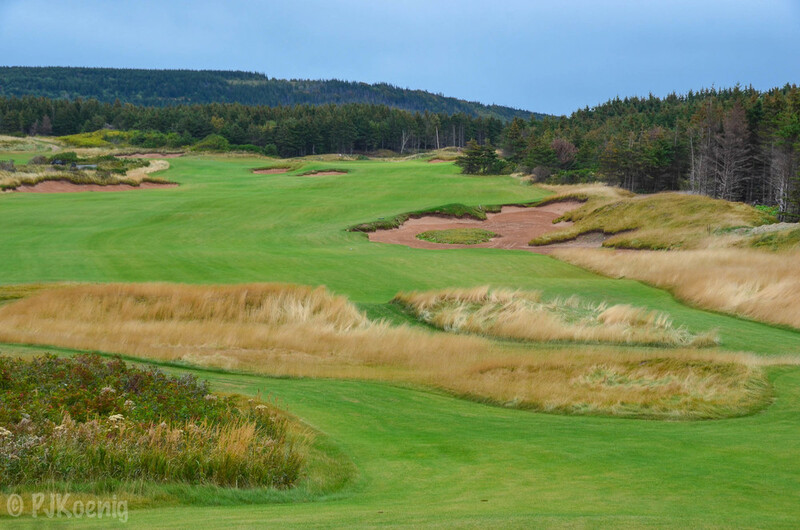 Luckily, I was invited out to get a sneak peak of the Mount Lorette course in the fall of 2017. Normally you would have much clearer views of the mountain ranges, however, nearby wildfires had obscured the view with smoke. 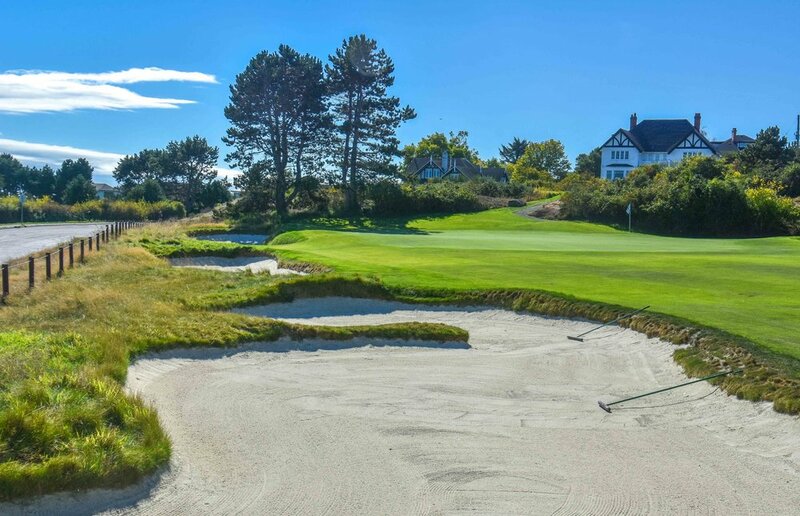 From Bobby Jones to Bill Clinton, Shaughnessy Golf & Country Club has had it's share of famous golfers stroll it's fairways. 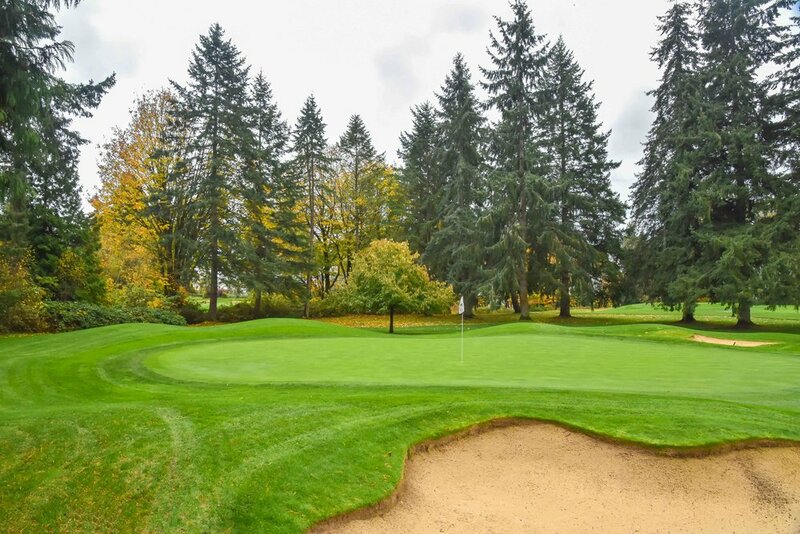 Warren G Harding even played his last round of golf at Shaughnessy before his unexpected death in 1923. 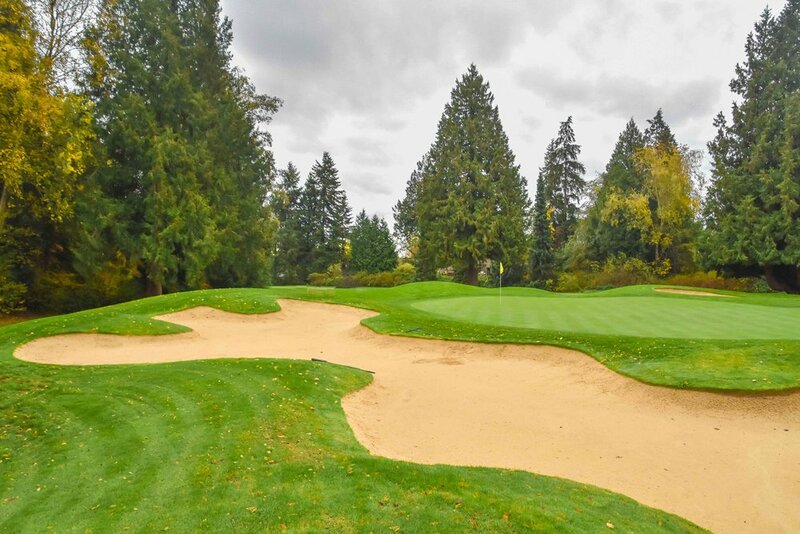 The course has also successfully hosted 4 Canadian Opens from 1948 to 2011 and the 1969 LPGA Canadian Open. I would tee it up on a rainy day in October of 2016. After missing a short birdie putt on the first hole, I would make up for the missed opportunity by rolling in a 50 footer on the 3rd hole. After another nice birdie on the scenic 9th hole, I would skull my approach way right on #10. In an unlikely turn of events, I pitched that sucker right into the hole for a fist pumping chip in. I would roll in another birdie putt on #15 to cap off a nice 5 birdie day. 5 birdie days make me happy. 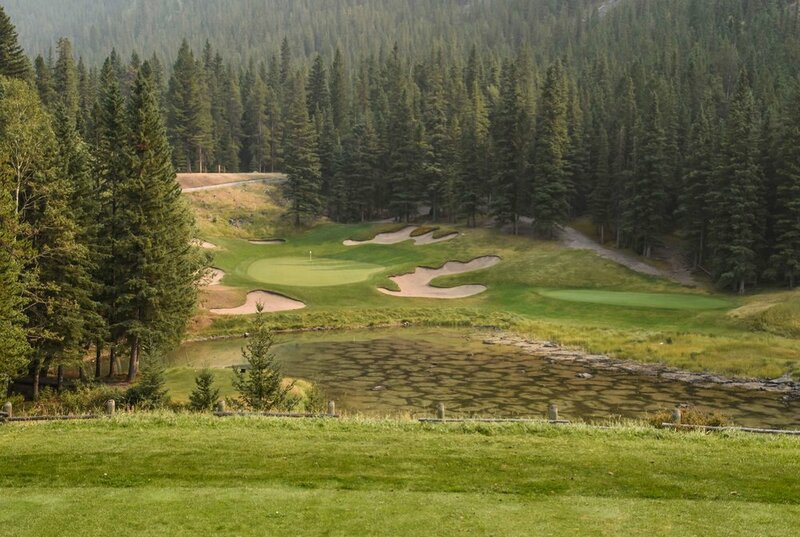 Designed by Les Furber and a favorite of PGA Tour winner, Stephen Ames, Silvertip Golf Club is a real stunner. 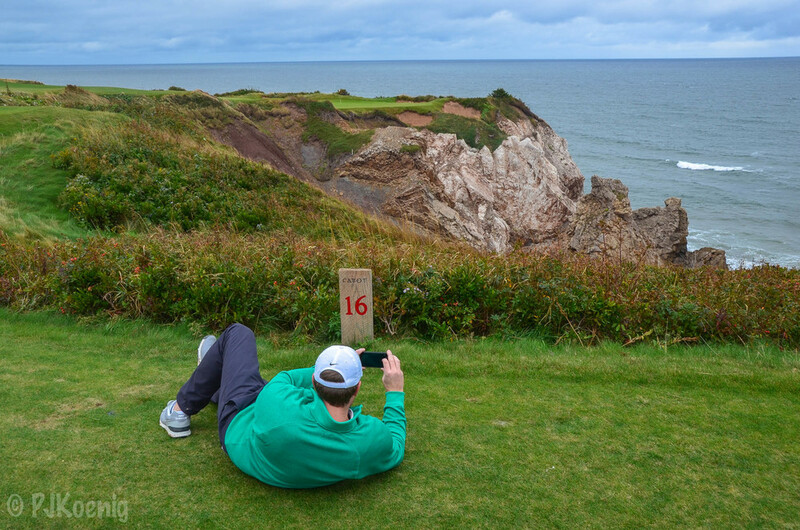 Featuring 600 feet of elevation change throughout the golf course, you will have your share of memorable views and photo opportunities. I would have my fair share of memorable moments on the 1st and 2nd holes after making birdie on both of them. Under normal conditions, those birdies would have been accompanied by a set of jaw dropping photos of the surrounding mountain ranges. However, I was only able to get the mountains involved in several of my photos due to the smoke from nearby wildfires. Our group did manage to find a couple more birdies to ease the pain. 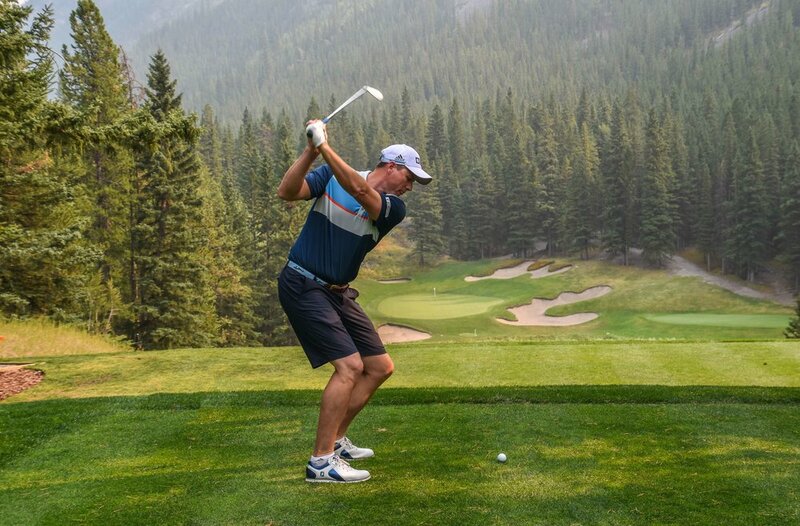 Read the full recap on the Canadian Rockies trip here. 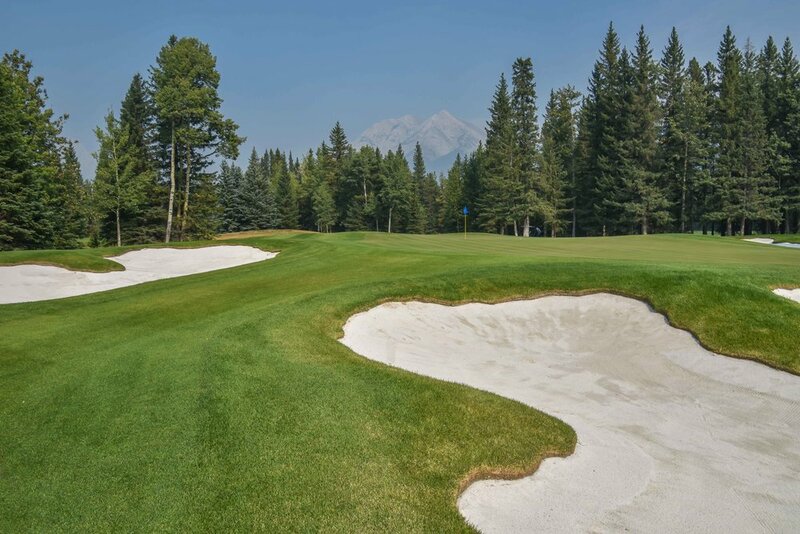 Designed by Canadian Golf Architect Gary Browning in 2000, Stewart Creek Golf Club is another favorite in the Canadian Rockies among locals and visiting guests. 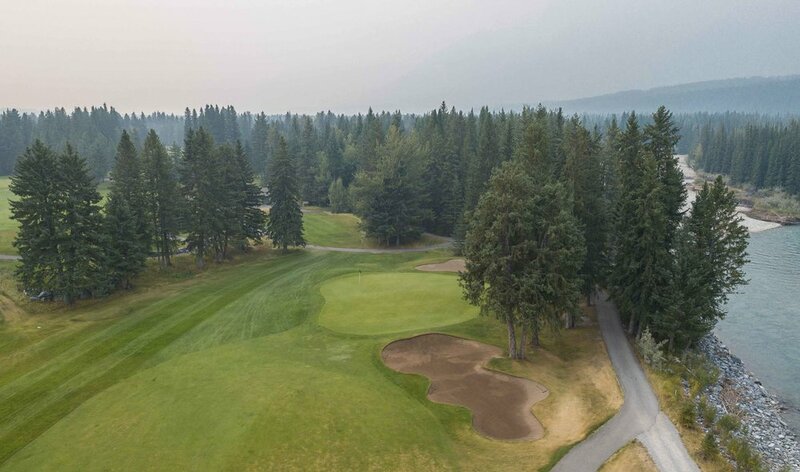 With breathtaking views of the Cascade, Pigeon, Three Sisters, and Ha Ling Mountains, a round at Stewart Creek is indeed memorable. Normally you would have much clearer views of these mountain ranges, however, nearby wildfires had obscured the view with smoke. 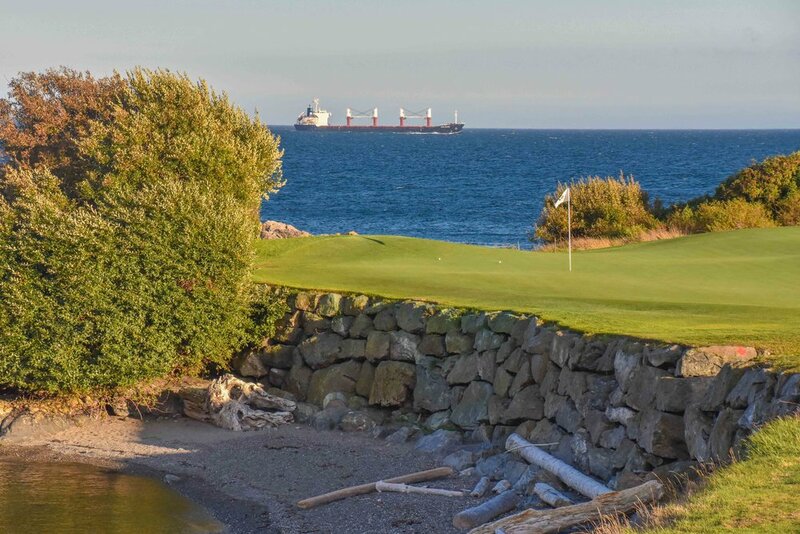 One of the more unique aspects of Stewart Creek is that the course is built upon an abandoned coal mining operation. There are actually old mine shafts visible on the golf course. The entrances are sealed off but the shafts below remain. Naturally, we did some golf modeling in front of one of the mine shafts. You can view all of the details here. 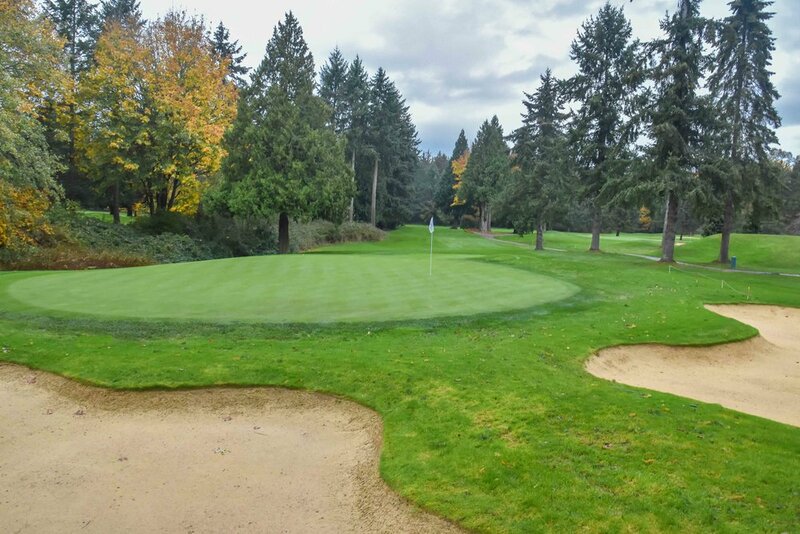 Victoria Golf Club was founded in 1893 and is the oldest golf club in Canada on its original location. 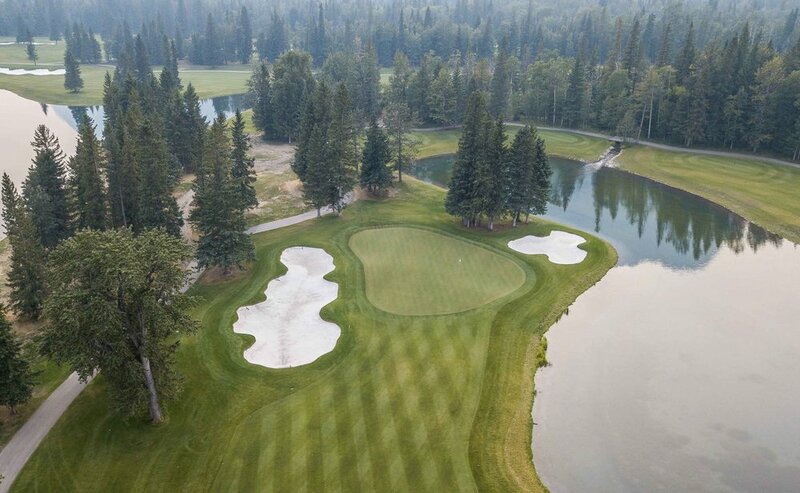 The course started with 14 holes and has been redesigned 3 times. 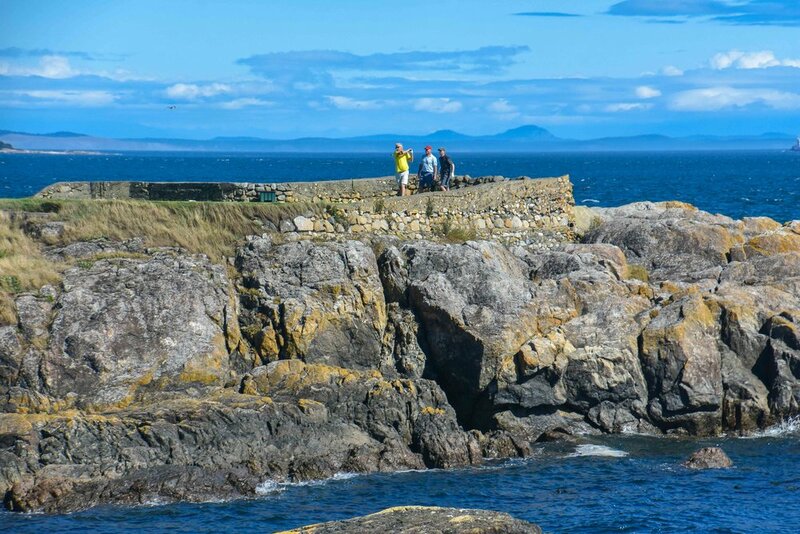 The current design was finalized in the 1920's, this put an end to hitting tee shots over the increasingly busy Beach Road. The clubhouse is also a registered Canadian Historic Place. Most importantly, this would be my first time playing a haunted golf course. Apparently, the ghost of Doris Gravlin can be seen wandering the course and frequenting the 7th green. in 1936, Doris was strangled on the 7th fairway by her estranged husband and her body was left on the shore by the green. Her husband would also be found a month later on a nearby shore in an apparent murder suicide situation. Legend has it that if you visit the golf course on a full moon and you ring the bell between between the 6th and 7th holes, Doris will appear. I even found this anti-climatic YouTube video on Doris.